It is fun to get invited to a new fitness studio in London. I had never been to the Turnpike Lane area before last week, and was excited to explore the area before my session at Omnida Studios. The studio has only been open since the autumn, but offers a wide range of classes- yoga, dance, Pilates, and fitness to name a few. 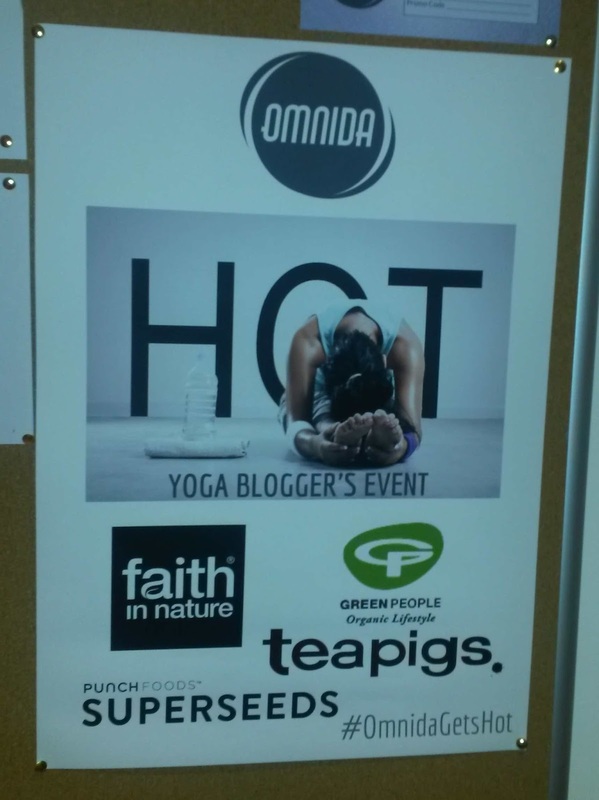 Myself and a few other bloggers were invited to try out their latest offering, hot yoga. The room is kept at 38 degrees C (that is 100 degrees F for those in the USA). I thought it was perfect. The evening was cold and windy. 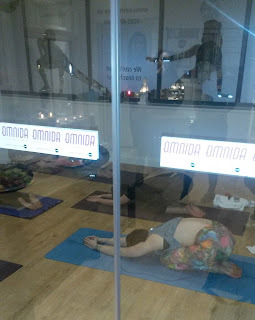 The warm room wasn't oppressive, like I have experienced at a Bikram studio in Texas. Last time I tried hot yoga was at Life Shoreditch and at the time my skin allergy was very bad. The sweat and heat made me very uncomfortable. However, my experience at Omnida was the complete opposite. The front studio is small, which means you get a lot of personalized attention from the instructor. I felt instantly relaxed in the warm room even before we started out warm up. The high temps also help muscles become more elastic (more flexible) which will decrease your risk for injury. This flexibility also gives you the opportunity to try getting a little deeper into postures that might prove challenging at room temperature. Breathing and lung capacity are also improved when practising hot yoga. Other benefits include the body burning fat more effectively because of the warm muscles and cardio benefits as the heart rate is elevated. I enjoyed the class as it was challenging but nothing I felt uncomfortable doing. 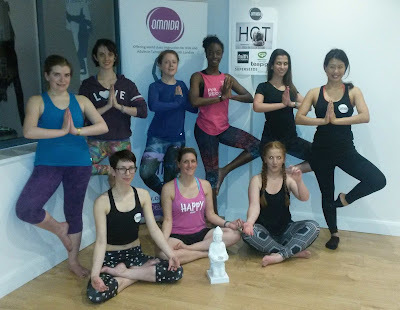 The instructor was very welcoming and gave clear verbal instructions both when she was performing the poses and when she was walking around the room. We were each provided with a mat and towel. The owners and other studio staff were all friendly and the changing room was clean. There is only one toilet, but I assume more of the clients are local and simply go home after the class. The location is super convenient, just outside Turnpike Lane station. You should check out Omnida Studios. They offer drop in rates (very affordable for London) as well as class packs. It isn't very far from Central London and seems like a studio where they know every member's name. 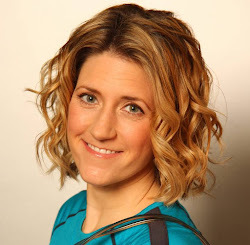 The timetable is very diverse (with ballet, tap and ballroom dance classes for those more adventurous), and even offers children's classes, so I am sure you will find something you find fun. 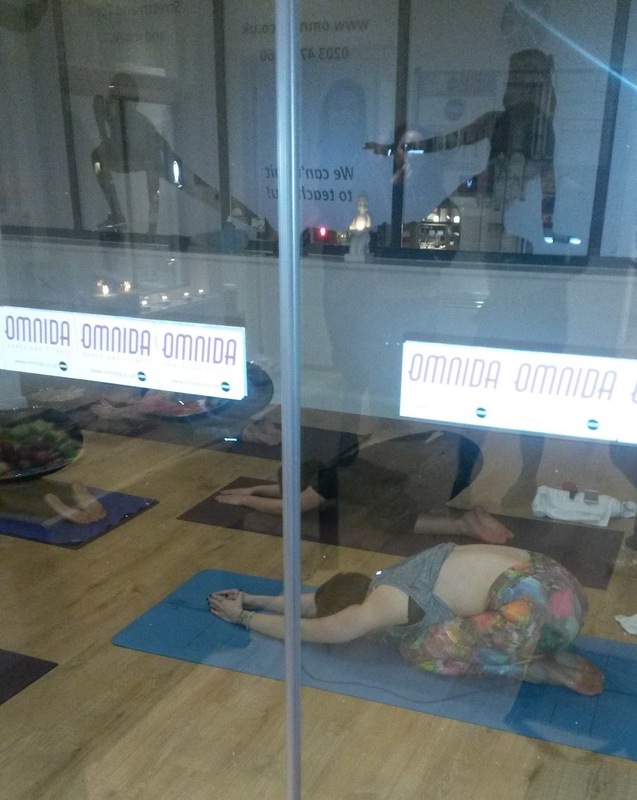 Thanks again to Omnida Studios to inviting me to their hot yoga taster session. It was fab to see some friends I haven't seen in a while, as well as make new blogging friends. All opinions are honest and my own. Thanks also to Green People, Super Seeds, Faith in Nature, and Tea Pigs for the awesome treats too.